Why is Jesus called the Word in John 1:1? It's important to remember that the whole New Testament was written in Greek during the first century A.D., and Greek was the common written language at the time. Therefore, the apostles and their contemporaries who wrote the books of the New Testament used common Greek words in order to convey their Christian message to both Jews and Gentiles. Moreover, they needed to convey that Jesus Christ was not merely a man, but that He was also divine and of the same substance as God the Father (i.e. the eternal God and Creator of the universe). When we examine the John 1:1 passage, "Word" is translated from the Greek word Logos, which denotes "reason" or "speech". In ancient Greek philosophy at the time, this "reason" denoted the controlling principle in the universe. So it’s understandable why the apostle John, who wrote this passage, would use the Greek word Logos (reason) in order to describe to a Gentile who Jesus was since John was conveying to the Gentiles that Jesus (who is also God) is the controlling principle in the universe. Thus, John was establishing that Jesus is the ultimate source of reason in the universe, from which all human reason is contingently derived. Secondly, John needed to convey who Jesus was to a Jewish audience as well, since after all, Jesus was a Jew and the gospel message was first preached to the Jews. Therefore, to a Jew, the concept of the "Word" as Logos can also be understood as "speech" or "discourse". In this context, there's a link between language and revelation. John, in chapter one of his gospel, was conveying the incarnation of Jesus, so he used the word Logos (speech) in order to describe to a Jew that Jesus is the self-revelation of God, the divine nature taking on human nature. Thus, John was establishing both the divinity of Jesus as well as the relational aspect between Jesus and God the Father. Since Jesus (as the Word) was in the beginning, and since Jesus was with God, this reveals a relational aspect within God’s divine nature. Therefore, from this text, we can derive that Jesus is truly God in essence and substance, yet is distinct in His person, due to the inherent relationship between Jesus and God the Father. This is the foundation of the biblical understanding of God as a truly personal and relational God; whereas in the religion of Islam, for example, no such understanding can be established. Lastly, we must assert that the incarnation of Jesus is the most consequential event in history, where the eternal God of the universe entered space-time history as the second person of the Trinity, and He took on flesh to dwell among His creation (John 1:14). In the incarnation, the eternal God communicates to His creation through His self-revelation, both in human form (Jesus) and in written form (His word, the Bible). Even after Jesus' resurrection and ascension, God continues to communicate to His followers through His Holy Spirit as the third person of the Trinity. 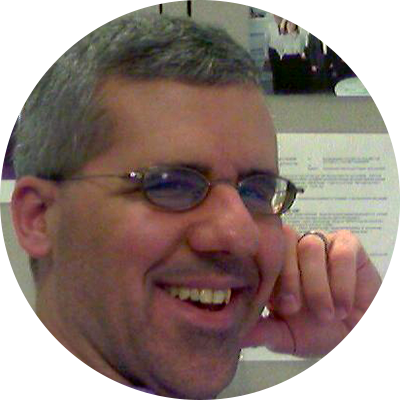 Dan is a Consultant Business Systems Analyst at HSBC in Arlington Heights, IL. Dan is also a founding member and deacon at Redeemer Fellowship in St. Charles, IL. Dan is married to Stephanie, and they have three children: Joseph, Daniel and Grace.